Inspiration is our business. All what we do, is to inspire others. Not only in terms of sustainability we won't to imbue, but as well in dance and music aspects. Therefor we invited a stunning ambassador-team, consisting of some of the best forró teachers world wide. We won't to really inspire every participant, so we decided to organize a festival with 60 Fullpasses only. Our goal is, that all our visitors leave the festival with a feeling that new doors are opened. ...has 21 years of experience in partner dance. There is almost no dance he doesn't dance. His favorite is forró of course and you will love his fantastic lessons with all his energy and positivity. He will open your mind and show you a wonderful world of creativity and joy. Philip about Renato: "I met him at the festival in Brussels in 2017. I went to his class and the whole time it was his dance partner talking. He didn't say a word, however he still led the class. Ingenious. His style of dancing is amazingly natural, creative and joyful, and so are his lessons. I don't know anybody comparable." ...is from São Paulo, Brazil, and fortunately lives in Mannheim at the moment. 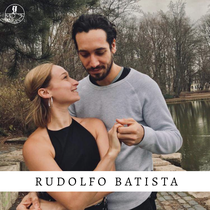 He won the best teacher award of baila mundo twice (2015, 2016) before he came to Europe. Since than he has travelled a lot to the festivals of Europe and has certainly had a big impact on the evolution of forró here. Philip about Fabio: "He is one of those people who inspire. You get a whole new world of ideas after visiting one of his classes and he always has new ones. I joined as many of his workshops as I could over the last years." 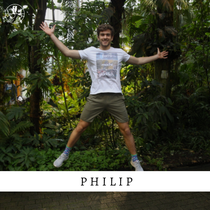 Without him, Forrówelt would not exist, as he was Philip's teacher since 2014. He was born in Olinda (Pernambuco) in the northeast of Brazil, so already as a child, he got into contact with the regional traditions a lot. After moving to Europe (Cologne), he became one of the most important organizers of forró in Europe. Im 2010, he founded "Forró de Colônia" together with his partner Vê. In 2016, he was the one to motivate Philip to start teaching forró. But he is not only travelling around the world because of his didactics: you could also know him as playing the triangle and the zabumba. Philip about Rudolfo: "For me it is the forró-father. He doesn't only care that you get what he is teaching (and you will get), but he is also very preoccupied about forró keeping his authenticity. 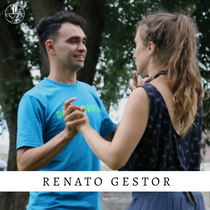 He seems to know every movement existing in forró, how and why it exactly works and he always has a great plan to teach it." 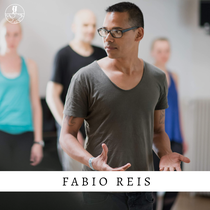 ...teach in Berlin at Tome Forró, they have an awesome dance style and you will enjoy their perfectly structured lessons. While Lina started to dance with Junio Reis in Aachen, Sasha (originally from Russia) learned with Aleksei Articulado from St. Petersbourg. 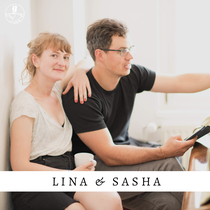 A warm welcome to our FwF19 Ambassador Team: Lina and Sasha! Philip about Lina and Sasha: "They pay attention to so many details, not only in their dances but in their lessons as well. They teach as a well rehearsed team and you never know where the next idea will come from." ...was infected by the forró virus at Rudolfos classes in 2014. After moving to Hamm, the teacher rolle devolved upon him. After short time he was excited and brought up his Babys Forró in Hamm and Münster. After moving again he proselytized as well Niedersachsen. He is sports student and musician (piano, accordion). He searches for the combination of both fields in dance as well as for the authenticity of Forró.